Glamping on the beach in an Airstream? Yes, please! 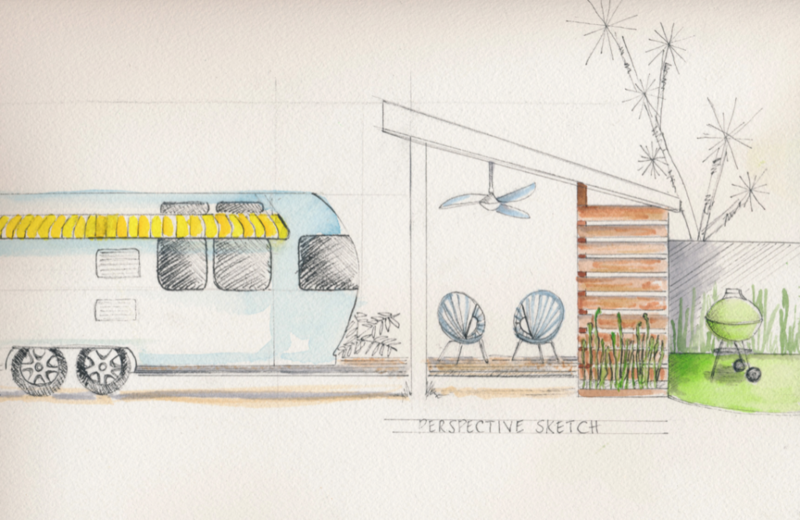 Port Toaster, the proposed mid-century inspired Airstream luxury resort for the Mid-Atlantic region, is live on global crowdfunding platform Kickstarter and raising funds to bring the project to life. Port Toaster is the luxury Airstream resort Frank Sinatra, Sammy Davis Jr., Dean Martin and the rest of the Rat Pack would feel right at home. Nestled in Cape May County, home to one of the largest remaining collections of mid-century beachside resorts in the U.S., Port Toaster will be a cornerstone of the region- bringing style and tiki glamp to the camp. Bell has done just that. The overwhelming success of her Airstream rental and delivery service, Toaster Adrift™, has necessitated an immediate expansion of aluminum-clad hula girls to her fleet. With the business growing at a rapid clip, the next evolution of the business is managing a full-scale Airstream resort. The Port Toaster luxury resort will initially include five 1960’s era Airstreams completely refurbished to their original glory, updated to include modern-day amenities and each with its own private, mid-century-esque cabana. An epic mod pool will sit at the heart of the property that would make Bing Crosby croon and a South Pacific-inspired tiki lounge will be on site that would make the likes of Sam Axe, aka actor Bruce Campbell, giggle with delight. Free-wifi, shuffleboard courts, a fire pit and more will round out the property, all with easy access to the finest Mid-Atlantic beaches in the region.